Being charitable is a good thing, but it's not often that charitable giving coincides with our love of cars. Well, get out your wallet, because we've found just such a case. Visit WinANewShelby.org and use promo code "Motor25" for 25% more entries. The Shelby American Collection car museum is located in Boulder, Colorado and celebrates all things Carroll Shelby and the Shelby American Team. Thanks to the generosity of owners and collectors, the museum has some of the most important American racing cars on display, including the Cobras, Shelby Mustangs, and Ford GT40 cars that changed the face of auto racing in the 1960s. The museum also includes an extensive collection of race records, photographs, and memorabilia from titans of the era including Carroll Shelby, Ken Miles, Dan Gurney, Bob Bondurant, Phil Hill, Allen Grant, Mario Andretti, Phil Remington, and other Shelby American Team members. The Shelby American Collection is hallowed ground, but it's also a 501(c)(3) non-profit that's staffed and run entirely by volunteers, so it needs our help. 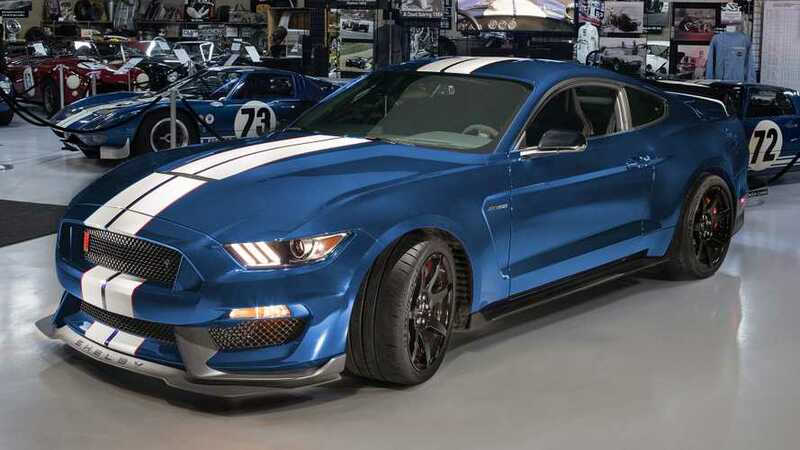 Incredibly, though, this charity isn't just asking for charity; it's offering the chance to win a 2019 Shelby Mustang GT350R in return. Make a donation to the Shelby American Collection and you will be automatically entered into the drawing for a chance to win this car. If you use the promo code "Motor25," you'll also earn 25% more entries. This here's a win-win situation. Check out photos of the actual GT350R that's available to win in our gallery, and click here to visit WinANewShelby.org to donate and enter.